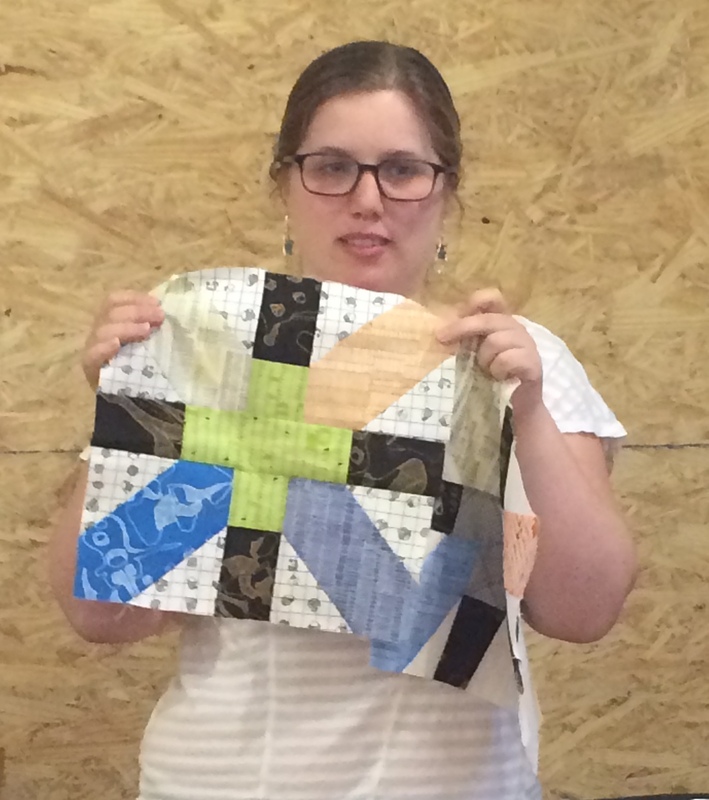 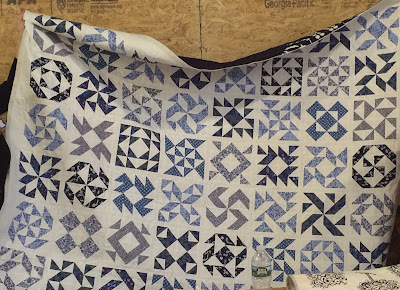 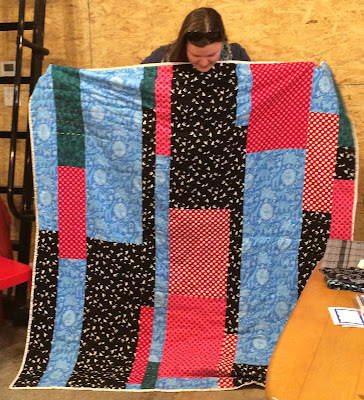 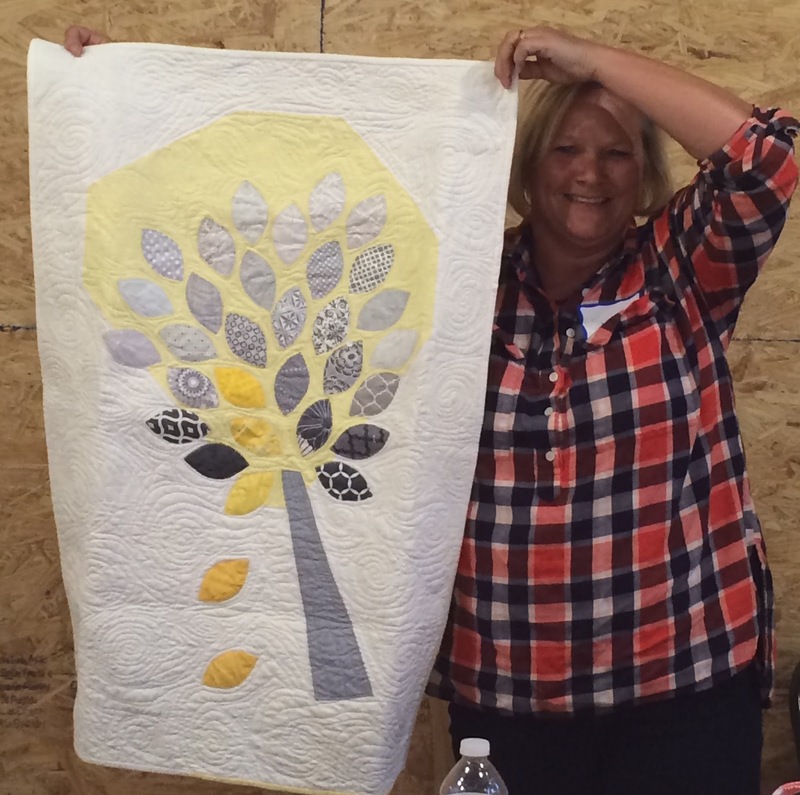 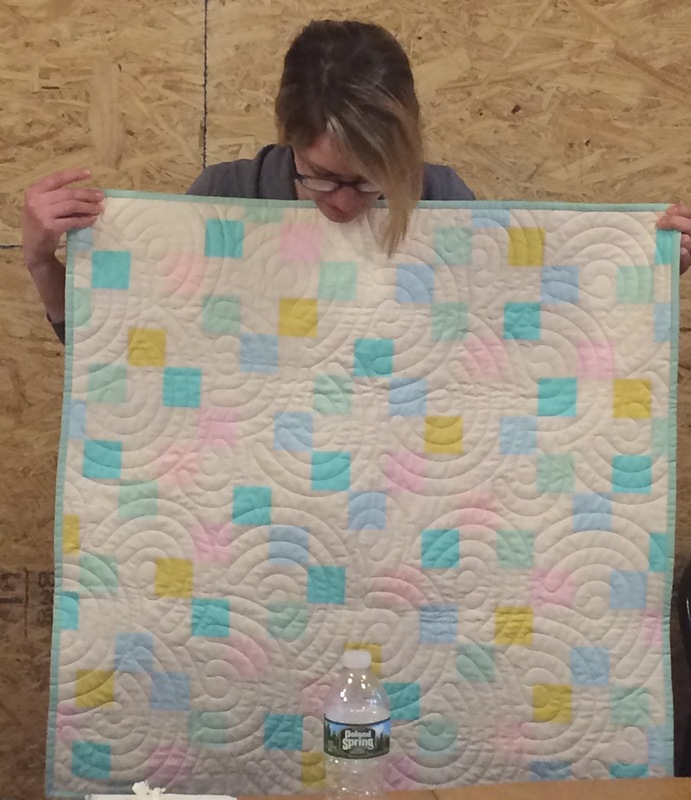 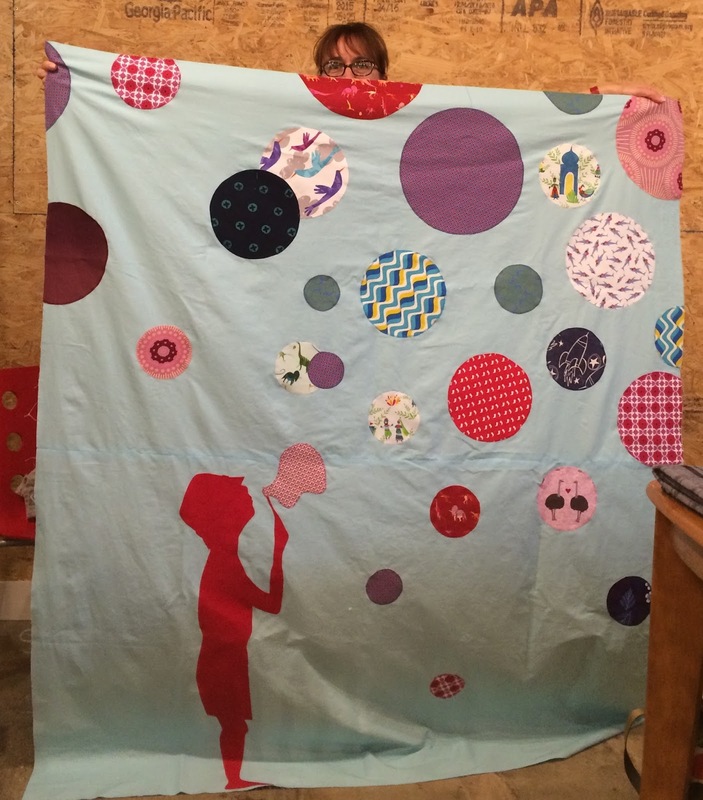 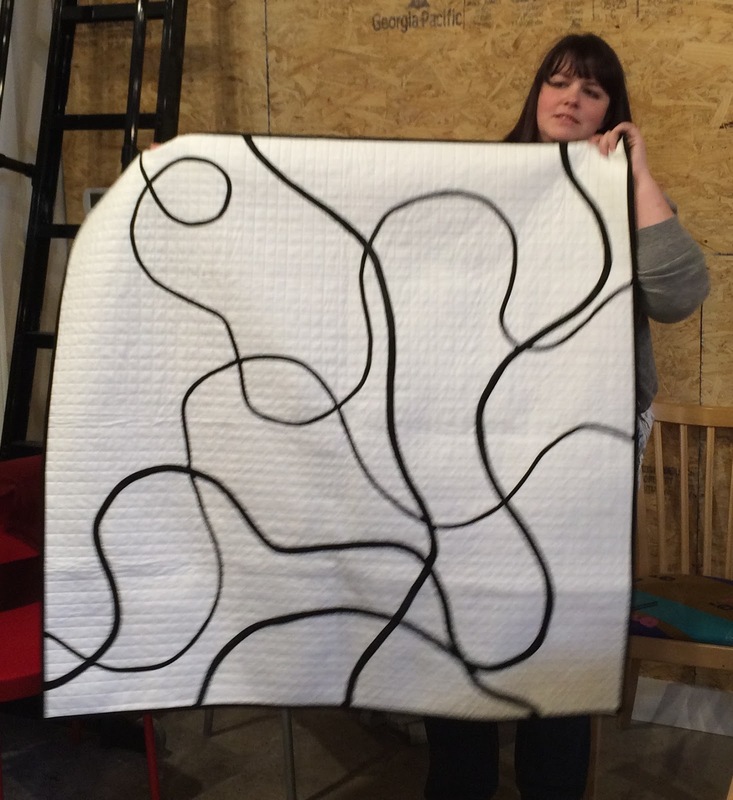 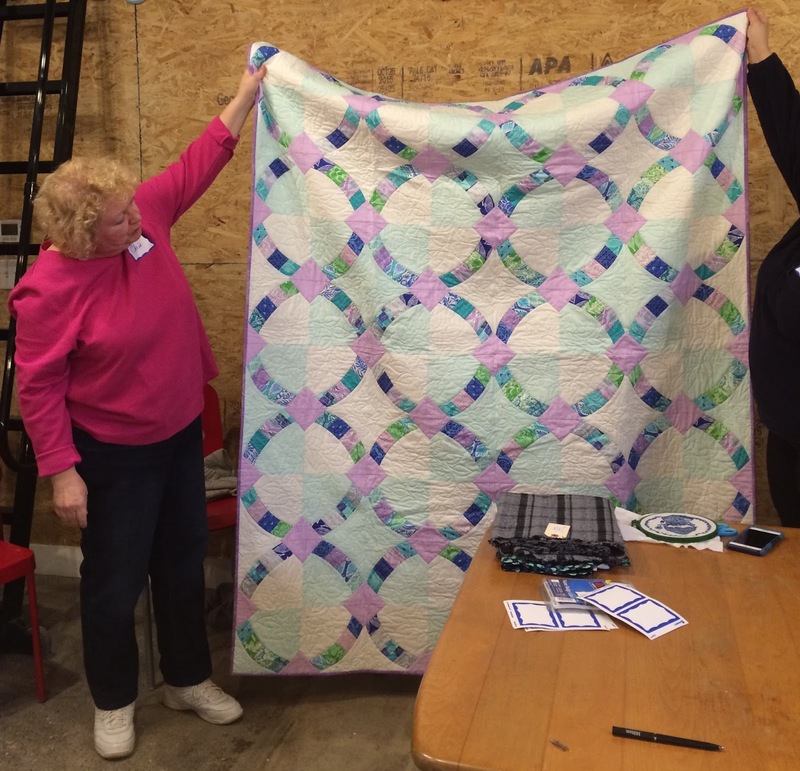 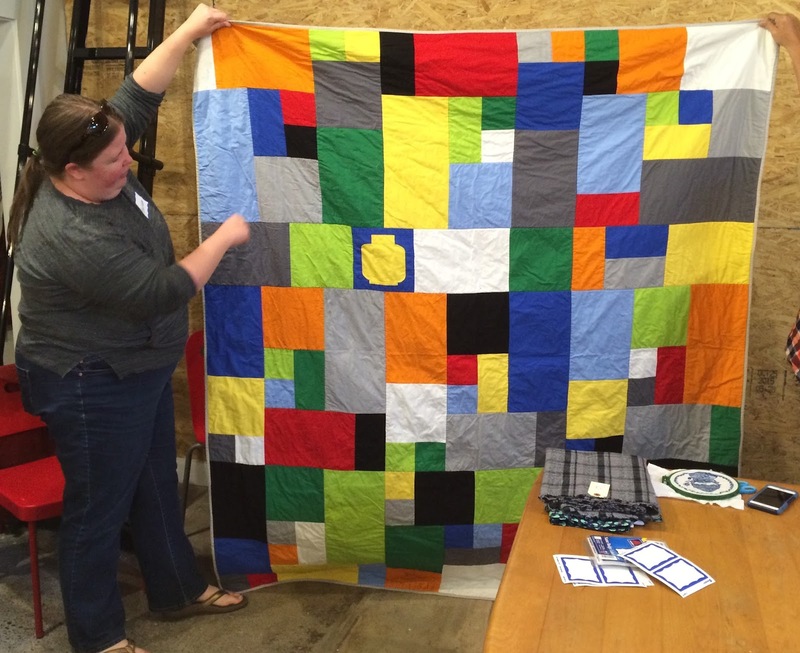 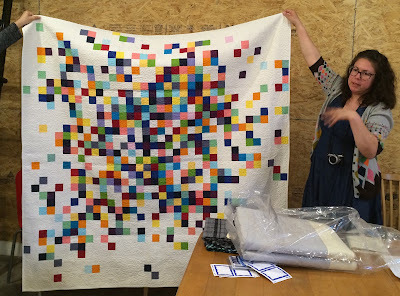 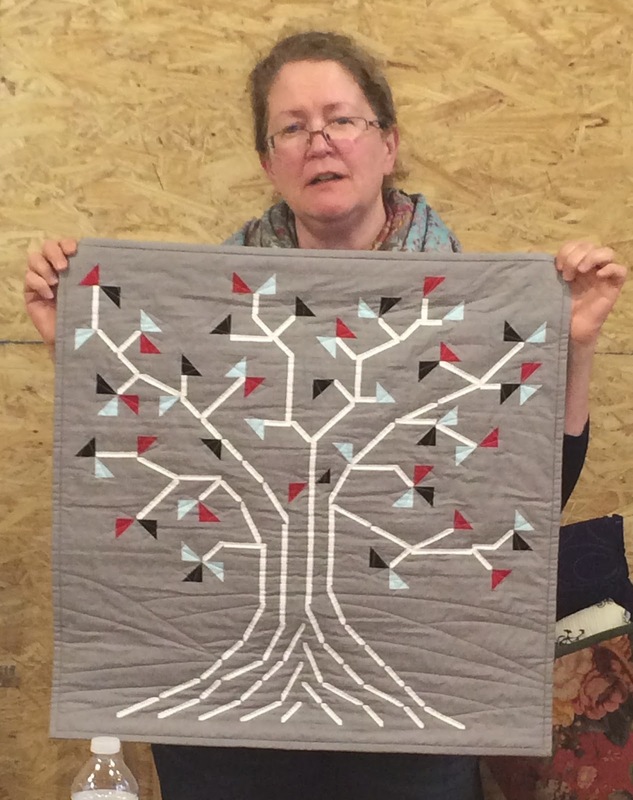 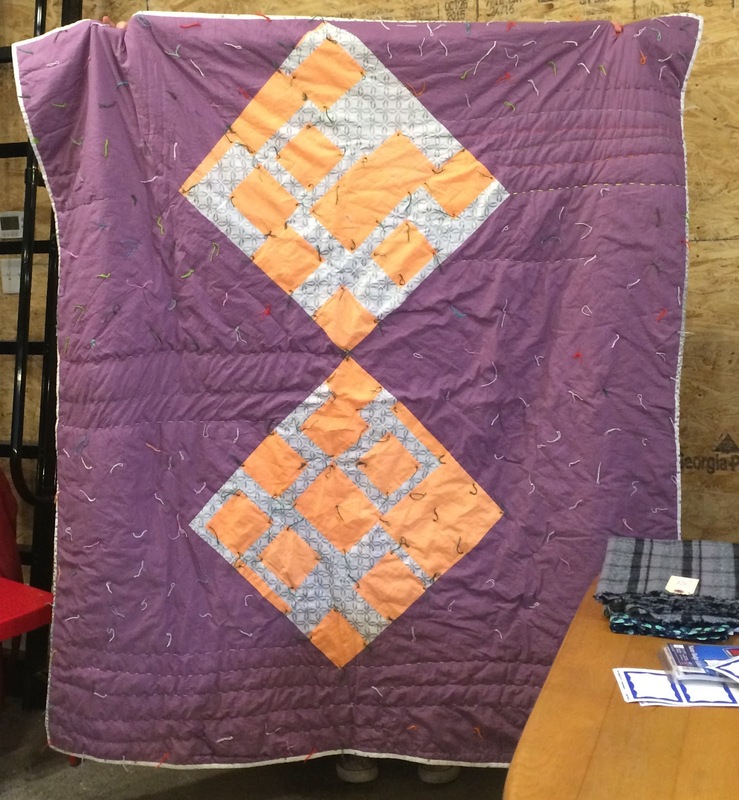 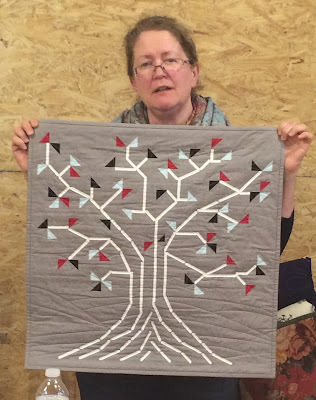 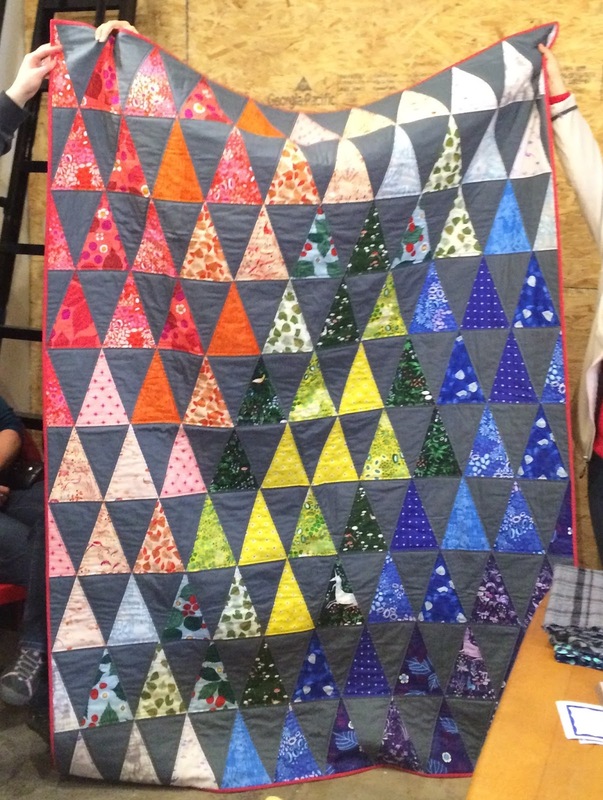 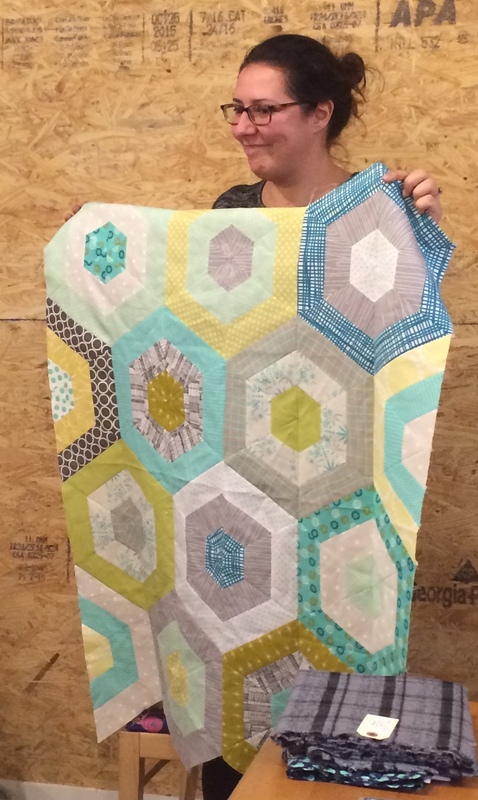 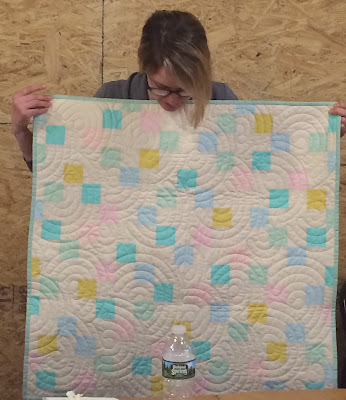 Cambridge Modern Quilt Guild: Get to Know Your Cambridge Modern Quilters! 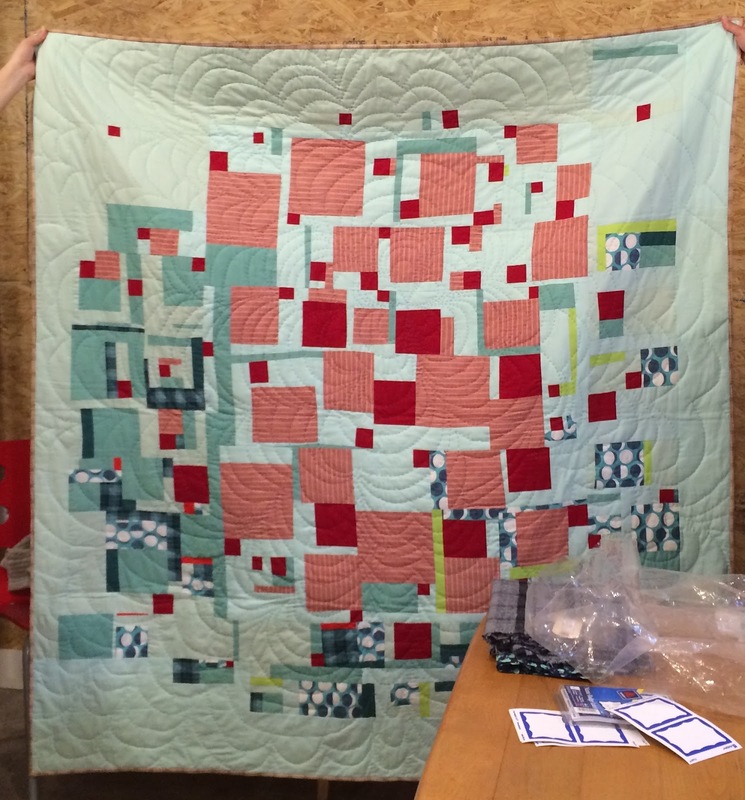 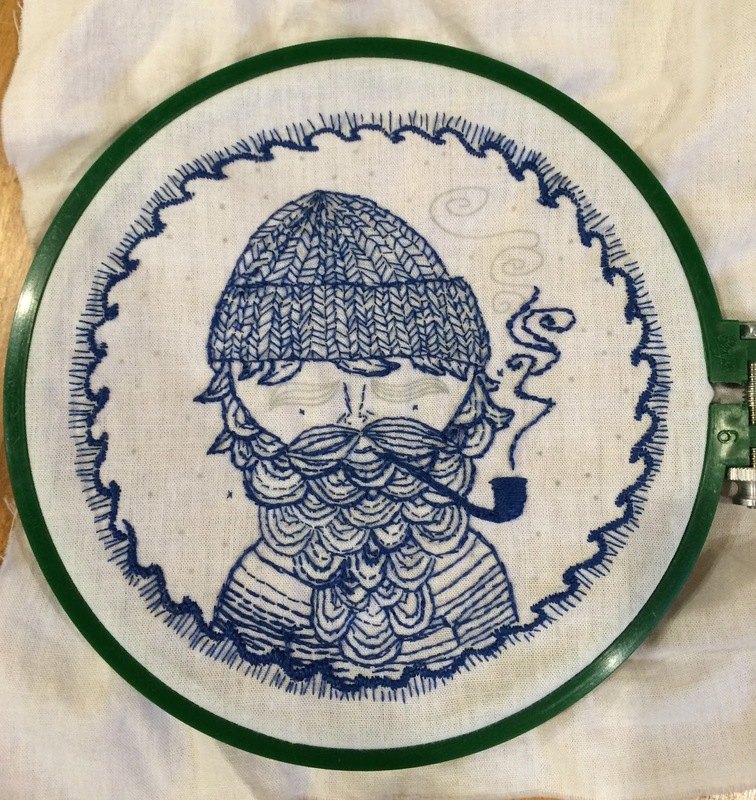 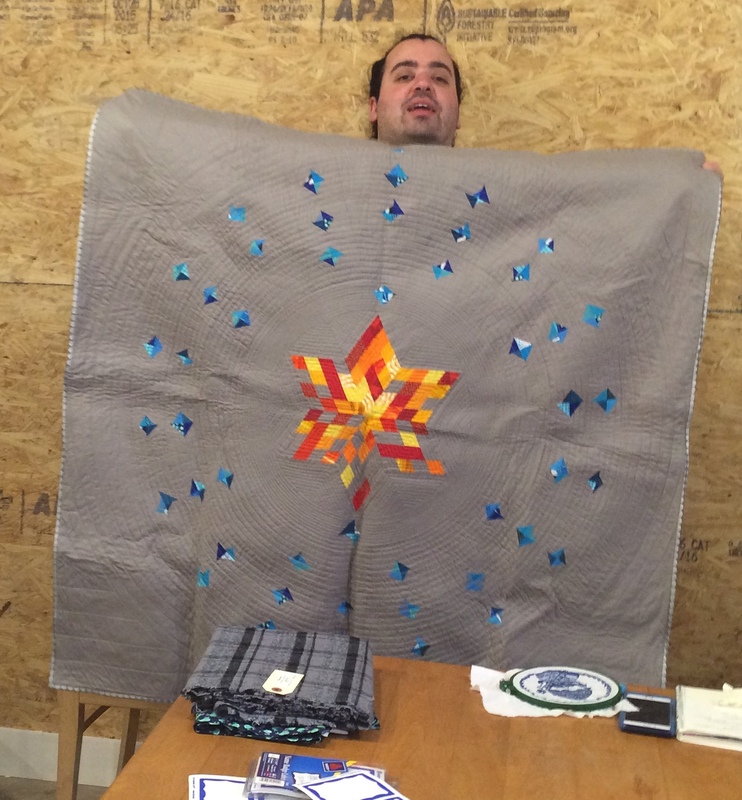 Get to Know Your Cambridge Modern Quilters! 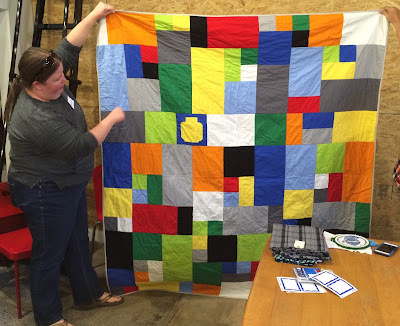 Gretchen's lego-inspired quilt for her son - can you find the head? 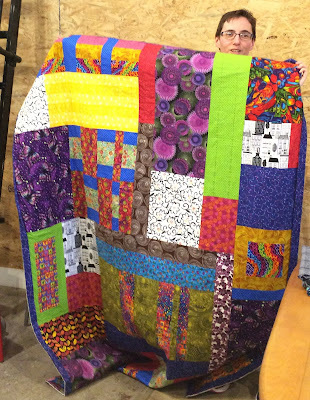 ... that you just want to curl up under. T's Element of Silver quilt - this pic doesn't do the quilting justice! 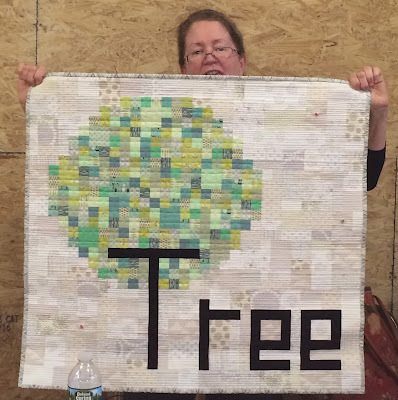 And we are more than mere quilters! 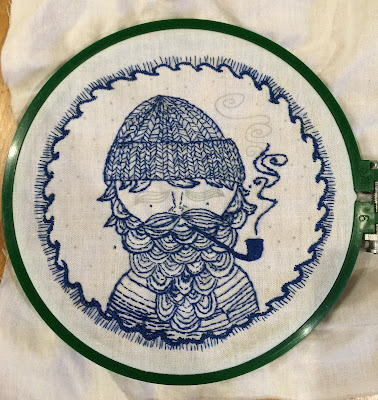 Check out Steph's adorable fisherman. 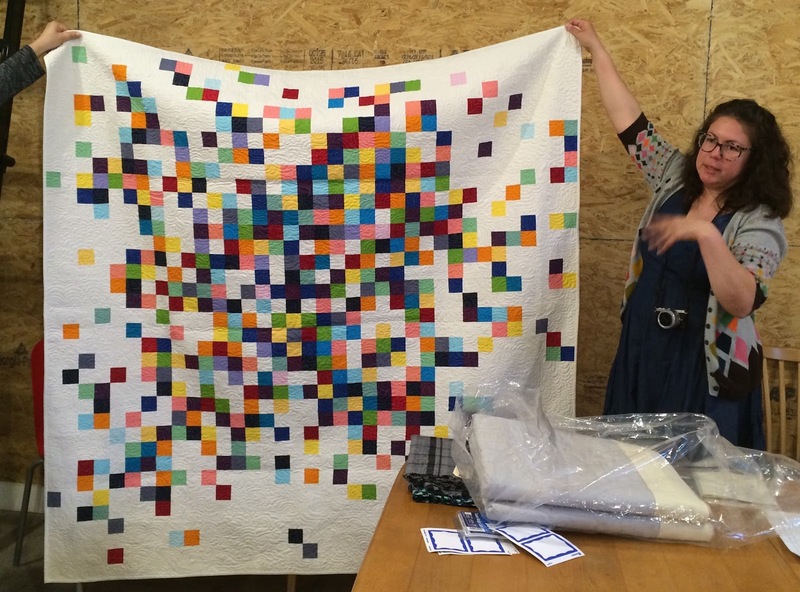 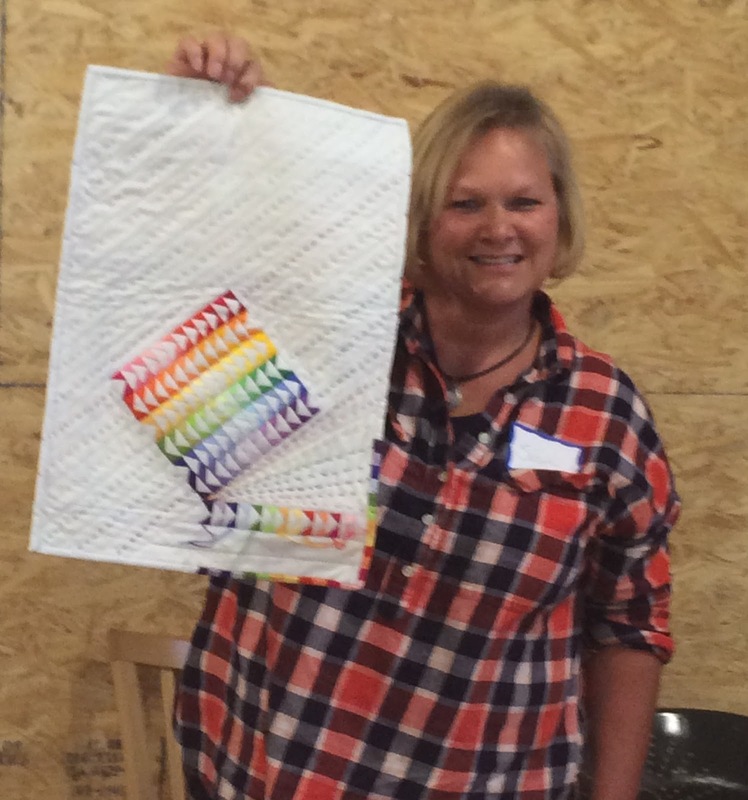 - Allison explained the requirements to join the national Modern Quilt Guild. 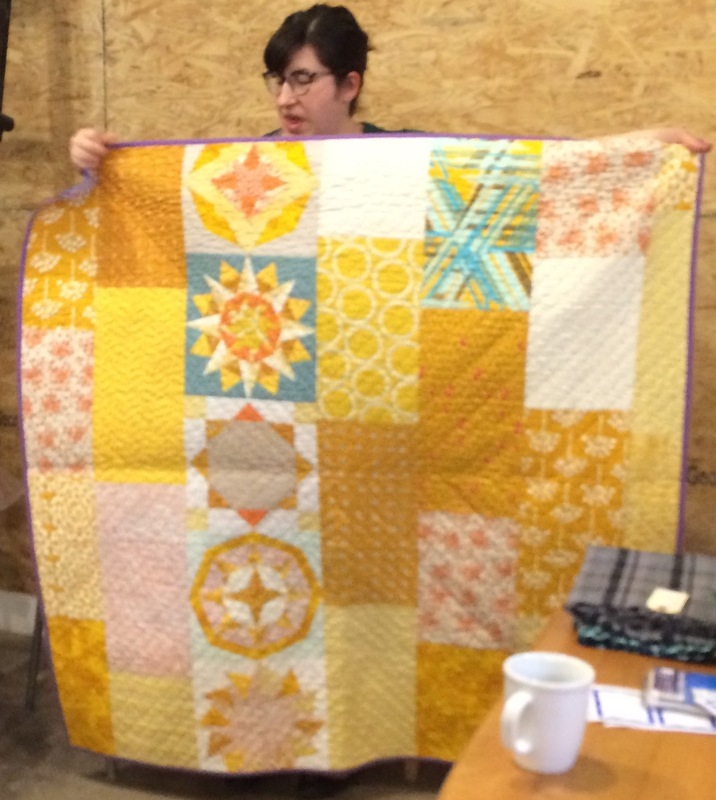 We'll be electing officers soon, so if you are interested please email us at cambridgemodernquiltguild@gmail.com before our March meeting. 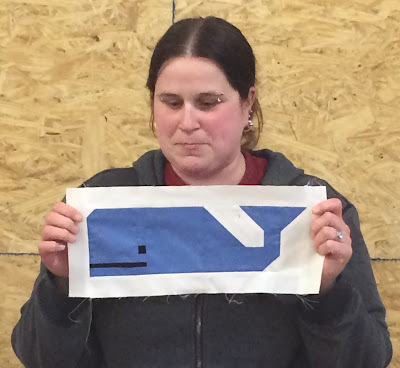 - Talked about ideas for guild activities, from potential speakers to group projects and more. 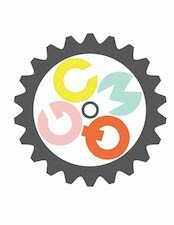 - Future meetings are set for the last Sunday of every month, 3:00-5:00 at Gather Here in Cambridge. See you all on March 27th - come show us what you've been up to!